The increasing amount of light inspires people to get active. 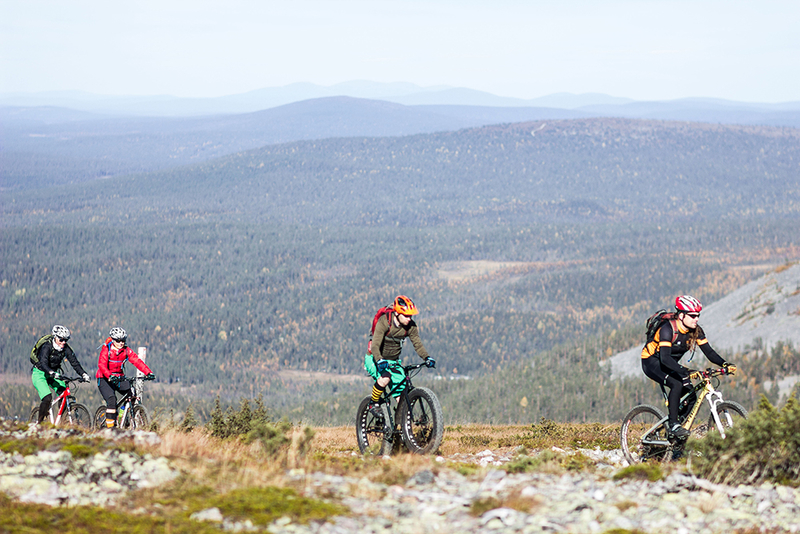 Trek from hilltop to hilltop from lodge to lodge through the arctic fells. Enjoy hiking or skiing through the wilds, find welcoming villages. 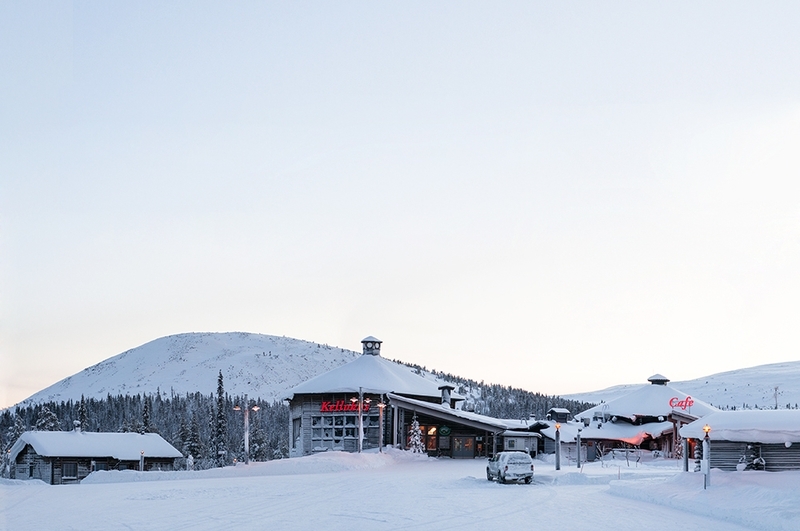 Enjoy fresh air, find passion of nightless night in the summer and northern lights in winter. Pallas-Yllästunturi National Park Area: 1020 sq.km. Established in 2005. The area is managed by Metsähallitus, the Finnish Forest and Park Service. The silhouette of the fells can be seen practically at all times and the marked trails lead visitors to the National Park’s most beautiful look-out spots. The picturesque beauty of the Pallastunturi Fells has made the area one of the Finnish national landscapes. 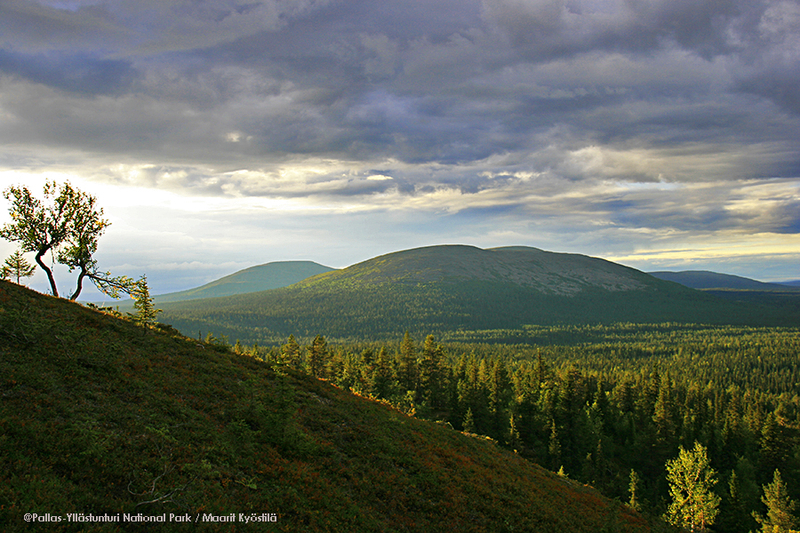 Pallas-Yllästunturi National Park is Finland’s third largest National Park. 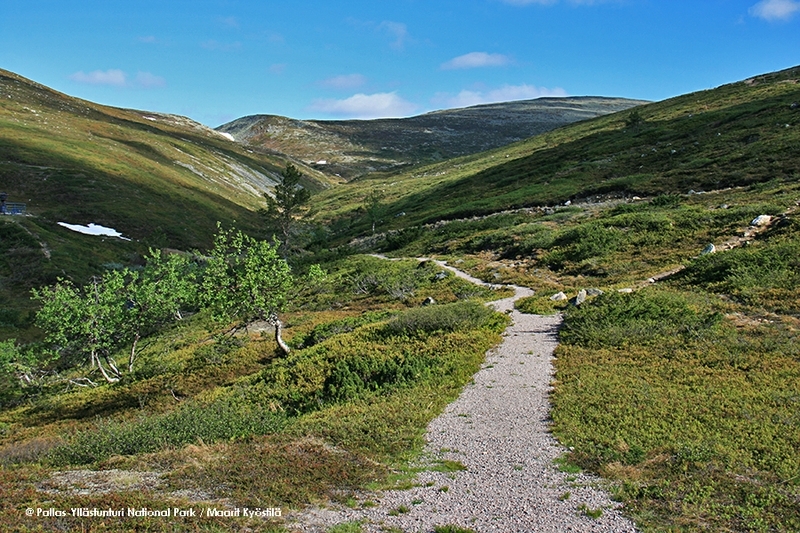 The area of this park has doubled now that Pallas-Ounastunturi National Park and Ylläs-Aakenus Nature Reserve have been combined to create Pallas-Yllästunturi. The most southern fell of the chain is Yllästunturi Fell. 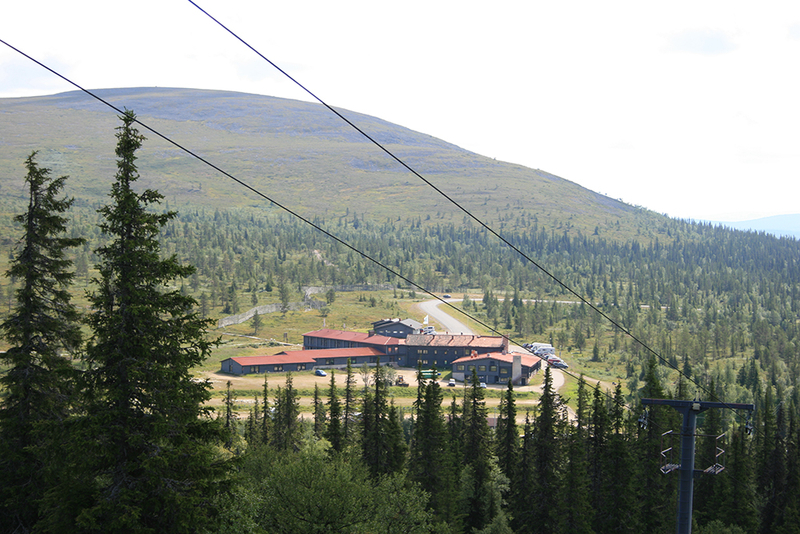 It is outside of the park’s boundaries and used as a tourist ski resort hill. The highest fell in this chain is Taivaskero, which is 807 metres high. In the north the view is of the gently sloping upland-like Ounastunturi Fells. Geologically Pallas-Yllästunturi National Park is located between Northern Finland, Forest Lapland and Fell Lapland, making it a very varied and interesting habitat. In the park’s forests and on its fells there is a mix of northern and southern species. It is also the area in which visitors can see the transition area where peoples livelihood changes from farming to reindeer husbandry. 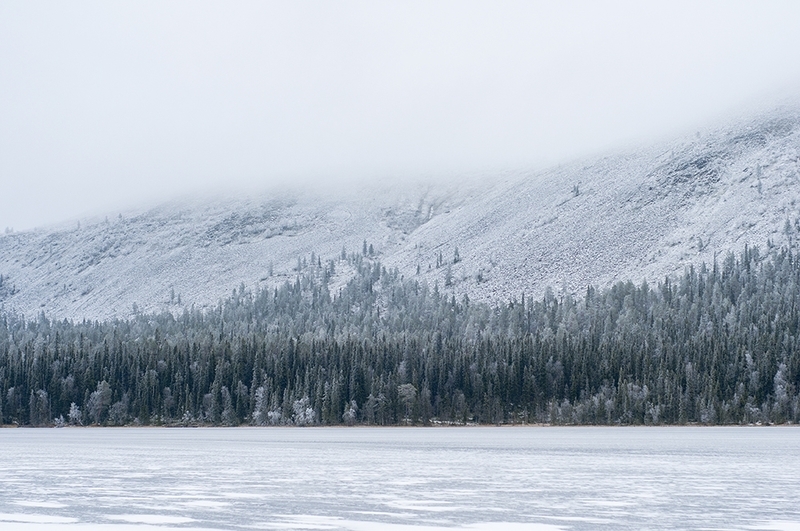 As the natural features of Pallas-Yllästunturi National Park are so varied, the park is important not only for conservation and recreation reasons, but also is of great importance for research. There are over 100 different research projects taking place in the area. Part of these are related to international air quality studies. 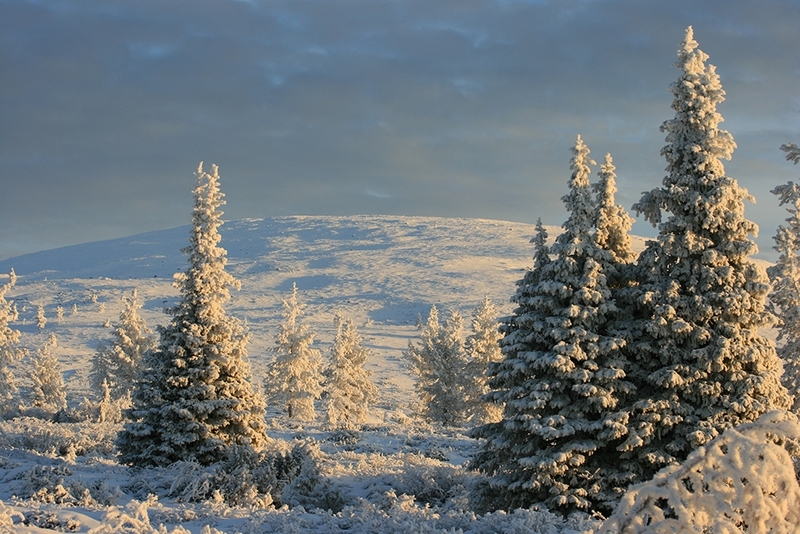 The results of these studies have shown that the air at Pallas is the cleanest in Europe. Other points of research in the area are timberline forests, the environmental effects of tourism and the ecology of and fluctuation in the mole populations.